If you’re looking for a new job, then you know how competitive the job market is. Great opportunities are hard to find, and even harder to land. Job-hunting can be a daunting task, but working with a recruiter can give you that extra edge you need to land the job that’s your best fit. If you’ve never worked with a recruiter before, let us fill you in on how it works. We often get a commission for fulfilling an open position, so we have a vested interest in the success and satisfaction of both parties and that’s good news for you. We have broad networks and industry expertise, and we thoroughly understand the market and can help answer questions. 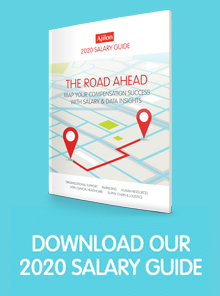 We know industry trends, salary levels for particular job titles (check out our salary look-Up tool here), and which companies are growing and which ones are struggling — a unique insight garnered from years of working directly with companies and their executives. In addition, we can help you prepare for interviews. We place people every day and know what employers are looking for. We will tell you how to stand out, what traps to avoid, which experiences and skills to highlight, and how to market yourself and your unique attributes. Another benefit of working with us is access to hidden opportunities. Oftentimes we’ll be privy to great positions that have not yet been posted to the company’s website or to an online job board. Your dream position may not be available at your dream company yet, but we might have insider access and know that it will be soon. Lastly, it is now common for people to change jobs multiple times throughout their careers. Developing a strong relationship with a recruiter can be a crucial aspect to your long-term career growth and success. Throughout your career, your employer may change, but we can remain a constant, helping you make strategic career decisions. If a great opportunity that you’d be perfect for comes along a year from now, you’d want to know about it, right? Think of us as another tool to get exposure to the jobs you want. Our business is finding the best fit for our clients and for our job seekers. So give us a try and see what happens.